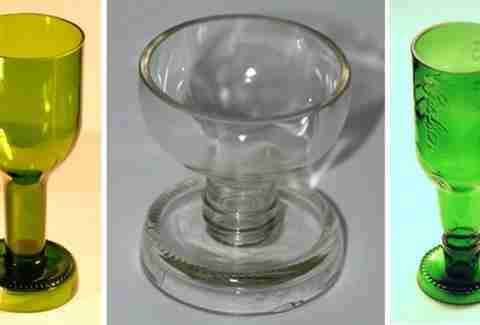 Glasses: Stemmed wine glasses are made from an inverted Bordeaux, a Grolsch has been morphed into a sort of chalice, and there's a snifter that in a previous life actually held Brandy, until she was all like "The Boy Is Mine", and it freaked out and took off. 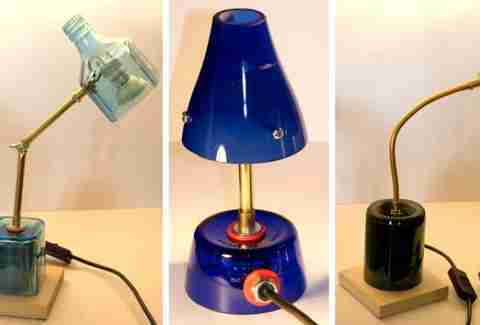 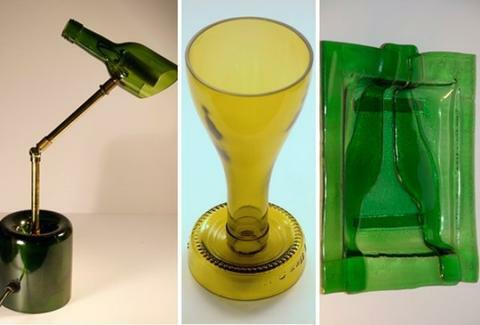 Lamps: Helping people get lit all over again is everything from a bottle of Bombay Sapphire (now operating as the shade and base for an adjustable desk lamp), to a flex-necked number whose shade's made from a Heineken, and whose base is a vino container. 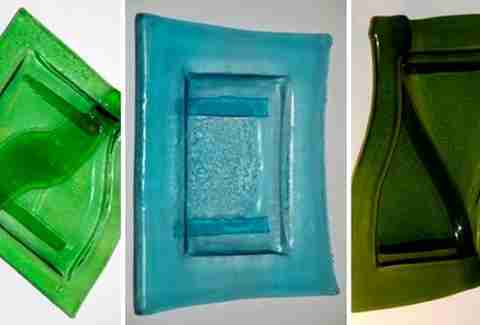 Dishes: Flattened Grolsches become ashtrays, Champagnes are cut in half, flattened, then fused into serving plates, and change dishes are constructed from vessels that once contained "artesian water", an idea lighted upon when somebody was unable to locate water, and said "let's try to cut a hole in the ground".